On the downside – you are inside a walled garden that is 100% controlled by Facebook. They control how much of your content is pushed down to your likes. It is not much of a stretch to imagine the day when Facebook Pages will only pass content to likes based upon a paid advertising relationship. Facebook have only promised to remain free to join – there’s nothing that says they won’t (and I’m betting they will) charge an increasing number of businesses who want to push out content to those who’ve liked their sites. So, yes – Likes = important. But more important is the content YOU control which should be your web site/blog. Do you use Facebook? Perhaps the better question is – do you admit to using it? If so – then you may want to look at our Facebook page because we feed it important links to content posted on our web site. This give you something to live for when you check Facebook and see three or four posts with technical updates about Sage 100 ERP. The people pictured at the top of our Facebook page are from a February 2012 meeting of our 90 Minds Group at the DSD Business Systems offices in San Diego CA. 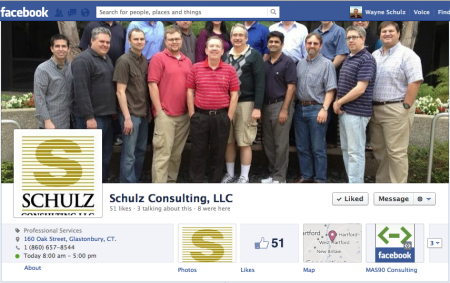 Connect with Schulz Consulting on Facebook or if you prefer follow the Schulz Consulting RSS feed or connect with Schulz Consulting on Google Plus. If you use the popular Facebook social media site you may notice on occasion that your friends’ walls have images that show they’ve been tagged in the image. However upon closer inspection you’ll find that the friend isn’t even in the picture. What gives? 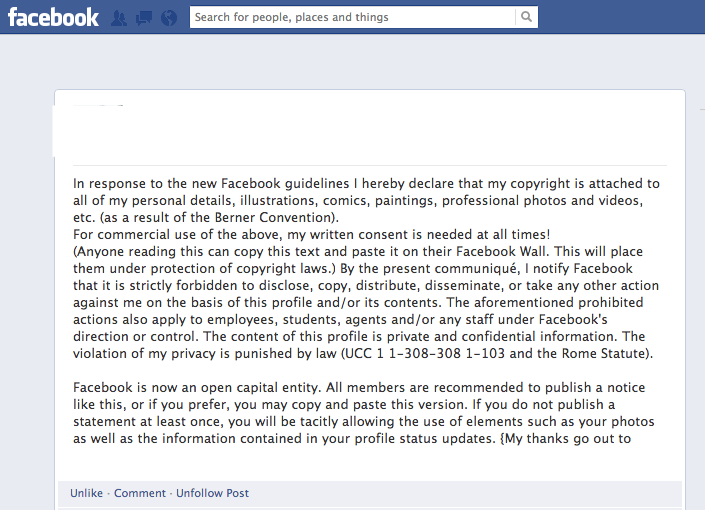 This is Facebook wall Spam. Once the image is posted – with the new friend tagged – all the many friends of the unsuspecting person will now see the image (because their friend was tagged in it) as well as the spammy link. ZDNET have published a detailed step by step procedure to tighten up your Facebook account. Essentially what you do is require anyone tagging you in a photo to receive your approval before it goes live on your Facebook wall. 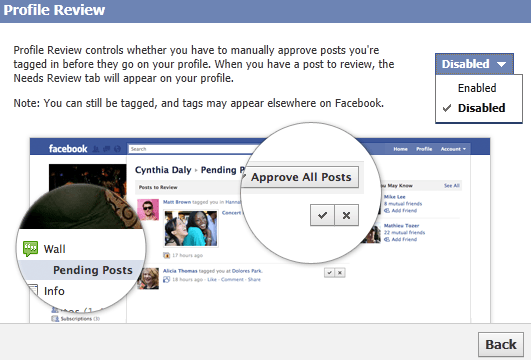 This removes the ability for anyone to tag and share on your wall to your friends – without you first approving it. Bob Scott, of The Progressive Accountant, asked me a month ago if I could summarize some tips on social media marketing. Quite frankly I think the social media term is way overdone. I consider it with the same eye-roll as I used to greet talk about those who proclaimed themselves “webmasters”. In other words – if you can fog a mirror you can call yourself either of these. The million dollar question many people have is – how do you make money online? What works. What doesn’t. And what’s just a waste of time and money. Do people buy software on Facebook (No, but a Facebook friend messaged me last week to ask about taking over their support, another messaged me two months ago and we provided an assessment). I’d never met either of these people previously. Can online social media work? I think so. Bob summarized my top tips in a post on his site – I think it’s worth a read. Especially the last two paragraphs. Regularly participate in new social activities – always with an eye toward whether these activities will produce qualified traffic to your web site. It takes some time to see results so be patient. 1. Google Analytics = Free, but not real time. 2. StatCounter = Not free, but real time. 1. Be consistent. Set goals to post content regularly (this is key). 2. Measure your website traffic. 3. Watch what others do before you jump right in. 4. Watch what tech bloggers adopt and talk about (techmeme.com is a great site for this). 5. You don’t need to do everything tech bloggers do, but they are excellent early indicators of new technology. 2. Spamming discussion groups with “please call me I can help” type posts. 3. 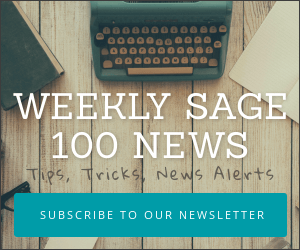 Sending email newsletters with lots of advertising (or any ads). I found that people tuned out.